Each 'nav item' has a spacing of 80px. This itself is a symbol which is great. However, when it comes to text overrides and renaming the 'nav items' becomes a bit of a pain. As you can see below, it results in text overlap. 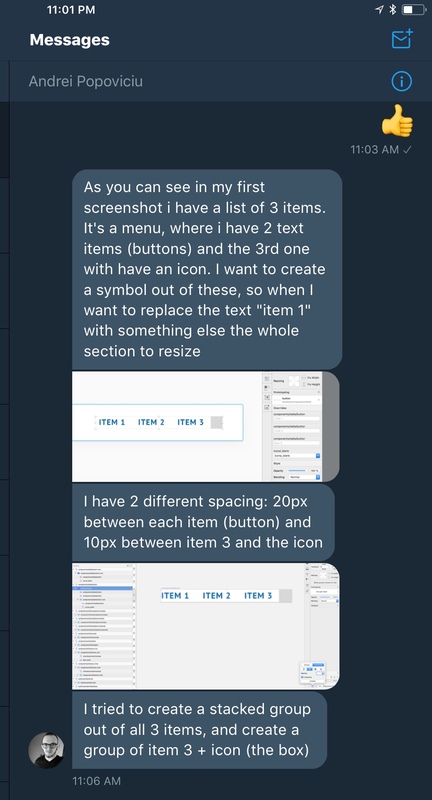 I want to achieve something along the lines of; Type something no matter how long or short, and have the padding change based on that length so that in the end, the items still have 80px padding between them. I am aware that Sketch has this functionality Kind of built in, issue is, it seems to only apply when the padding is <= 20px (I think?). Using the 'Paddy' plugin to somehow keep them equally separated. This sort of worked but was super buggy. Tried using some "Button" plugins that keep a set padding. These were unsuccessful. 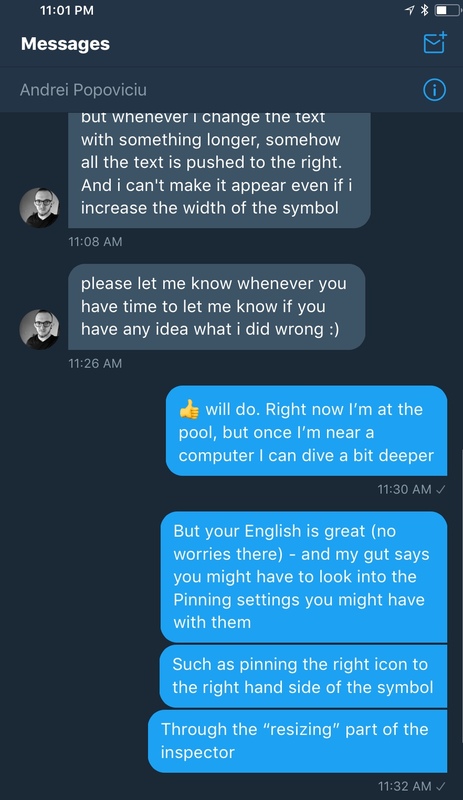 You was trying to help someone with this earlier today, and he actually figured it out before I could even do anything haha. So there’s a plugin from Anima that has this feature called Stacked Groups. It’s essentially flexbox within Sketch. 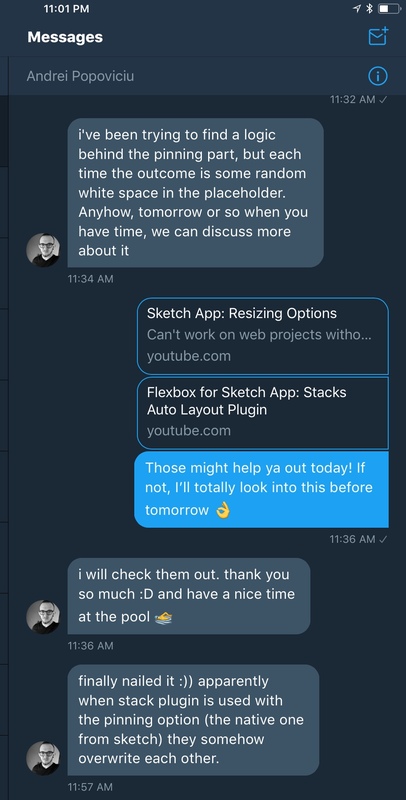 Here’s an article about it, and how to use it: https://medium.com/sketch-app-sources/auto-layout-introducing-stacks-flexbox-for-sketch-c8a11422c7b5?source=linkShare-426db5aa943c-1529895926. The one thing you have to look out for is using both the native Resizing options with Sketch, and using the stacked group’s resizing feature. How to make a tapered line in Sketch? How to truncate text with an ellipsis in Sketch?